‘O2O’ or Online to Offline is a marketing phenomenon prevalent in China. Whilst the marketplace for practically every type of product or service imaginable transitions online, in China the interaction between online and offline is closer than it is in the west. A key example of this is when ordering a car through Didi (China’s Uber) the driver immediately calls to clarify details from the exact pick up location, through to the colour of both their car and your jacket. This trend is prevalent in most market segments including agents who source property for clients (how all off-the-plan property is sold). China is a relationship-based society and people need to know you are ‘real’, especially when selling expensive real estate located thousands of kilometers away. So whilst glossy websites, videos and clever digital campaigns (online) might attract initial attention, unless followed up by personalised and regular contact (offline), a project generally will not sell. Examples of O2O are events which offer one-on-one meetings, training sessions with the sales teams of Chinese agents, and ‘social selling’ often an informal dinner where family, friends and colleagues of the host are invited to learn more about a project in a relaxed environment. What works in Australia or any Western market won’t necessarily work in China. If you usually rely on EDM’s (electronic direct mail) to market your project you’re wasting your time; generally these won’t be read. Mass SMS blasts are also of limited value. Chinese agents may work with multiple agencies and have 5 or more business cards with different email addresses. These are rarely checked, as social network WeChat is ubiquitous for personal and business communications. You also need to understand the peak selling seasons in China such as the Golden Week holidays. In addition ‘good design’ is a relative concept depending on which country it originates. What works creatively in Australia may not resonate with the Chinese who connect more with certain colours, language and imagery. You need to sell the location much as the project’s features when marketing to Chinese. Investing in educating the marketplace in key cities such as Shanghai, Beijing, Guangzhou and Shenzhen is paramount. Chinese investors overwhelmingly won’t buy in a location they don't know, and this familiarity needs to be built up over time. If your new development is in Cheltenham for example, a suburb 19km south east of Melbourne’s CBD, there is a good chance that Chinese buyers won’t have heard of it, not being a suburb frequently marketed in China. Box Hill, Doncaster, Glen Waverly, Point Cook, Williams Landing and Carrum Downs for example, are well known Melbourne suburbs previous developers have consistently marketed in China. With 80% or more of Chinese speaking only Mandarin, it is essential to have local translations of marketing materials as well as Mandarin-speaking staff on the ground. Chinese agents need to be very familiar with every project they sell in order to match their buyers’ exact needs with the right projects. A strong company profile of the selling agent and the developer is also extremely important to the Chinese. ‘Speaking the language’ is more than a literal requirement; you also need to know what the key investment drivers are for each group. This might be capital growth, a highly regarded local school or university, rental yield, transport proximity or an established Chinese community. 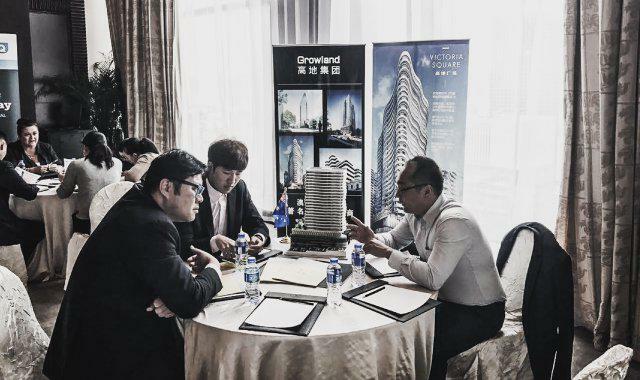 At our just completed China Connection events in Shanghai and Shenzhen, best described a ‘speed dating’ between property developers and hand picked Chinese advisors who find properties for thousands of Chinese clients, the most successful delegates were those who committed to second or third ‘dates’ at their initial meeting. These dates included activities such as follow up meetings where additional questions could be addressed by the developers and/or project marketers, tours of agents’ offices, education sessions for local sales teams, or even arranging flights to view the development. When marketing overseas property, repeat messaging is key to getting results. Familiarity breeds sales. Property expos are very common in China, but offer one brief touch point only. Consistent exposure and targeted communications are needed. As well as responding quickly to requests for information, developers need to be prepared to supply training, training and more training. Australia is considered a very mature market in China, and rather than price points, agents are more interested in what resources can be provided. Foreigners purchased $14.4b of Australian off-the-plan apartments in 2016. Capturing a slice of this lucrative foreign investment pie means utilising smart technology to reduce the costs of connecting globally. And taking into account these tips to ensure your project’s chances of success in China. Jon is the CEO and Founder of Investorist, the world’s leading B2B sales platform for off-the-plan property. 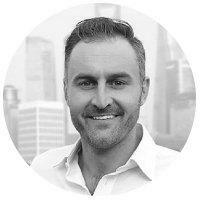 Delivering a clever technology solution to a global industry problem, Investorist has experienced rapid global expansion since opening its Melbourne office in 2013 with 6,500 companies using the platform, 50,000+ listed properties, including the US’s largest ever development Hudson Yards, the $30b 11 tower mega project redefining Manhattan.